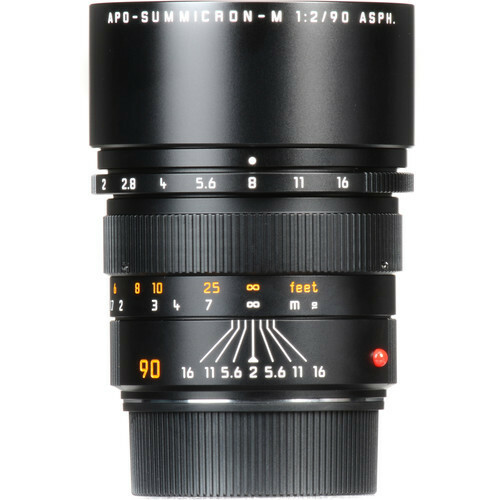 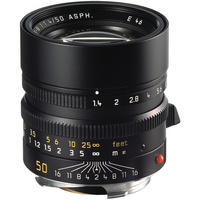 Characterized by its apochromatic designation, the APO-Summicron-M 90mm f/2 ASPH. 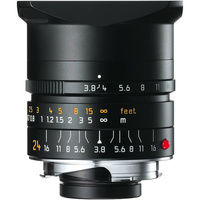 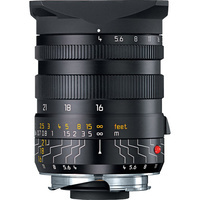 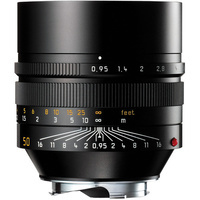 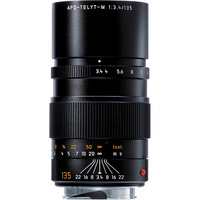 from Leica is a fast short telephoto lens designed for M-mount rangefinder cameras. As an apochromat, this lens utilizes a pair of anomalous partial dispersion glass elements to virtually eliminate color fringing and chromatic aberrations for notable clarity and color accuracy. 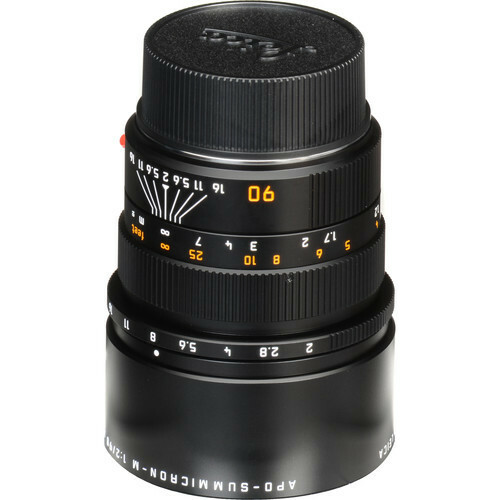 One aspherical element and two high refractive index glass elements are also used to control spherical aberrations and distortion, as well as to maintain a high degree of sharpness. 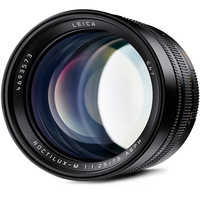 Its manual focus design permits working with subjects as close as 3.3' away and its compact design also incorporates a built-in extendable lens hood to shield the front element. 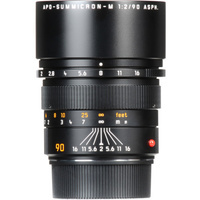 Apochromatic design employs two anomalous partial dispersion glass elements to virtually eliminate chromatic aberrations and color fringing for improved clarity and color accuracy throughout the aperture range. 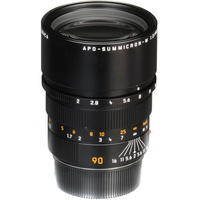 In addition to the apochromatic designation, this lens also uses one aspherical element and two high refractive index elements to significantly reduce distortion and spherical aberrations while also increasing overall sharpness and edge-to-edge illumination. 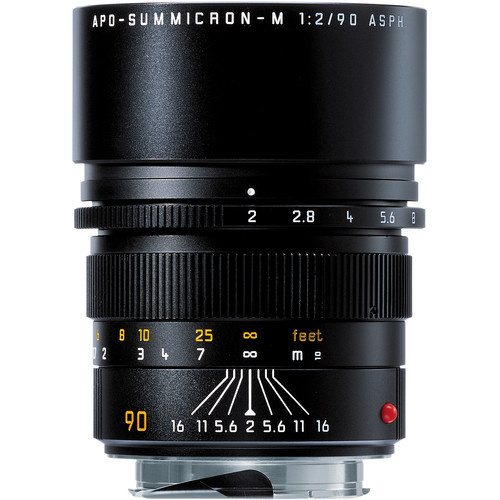 Bright f/2 maximum aperture benefits working in difficult lighting conditions and also affords greater control over depth of field. 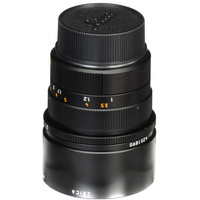 Manual focus design provides a minimum focusing distance of 3.3' with a maximum magnification ratio of 1:9. 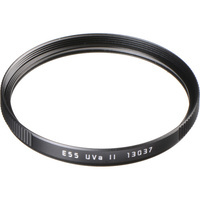 Built-in extendable lens hood shades and protects the front element to reduce lens flare and ghosting. 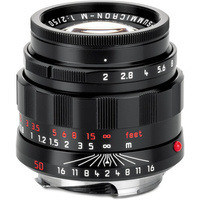 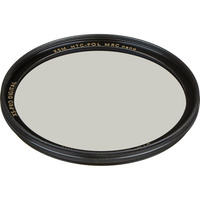 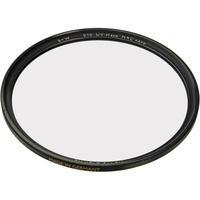 Additionally, the front of the lens is threaded to accept 55mm screw-in filters. 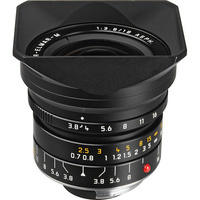 Box Dimensions (LxWxH) 5.9 x 4.7 x 4.7"